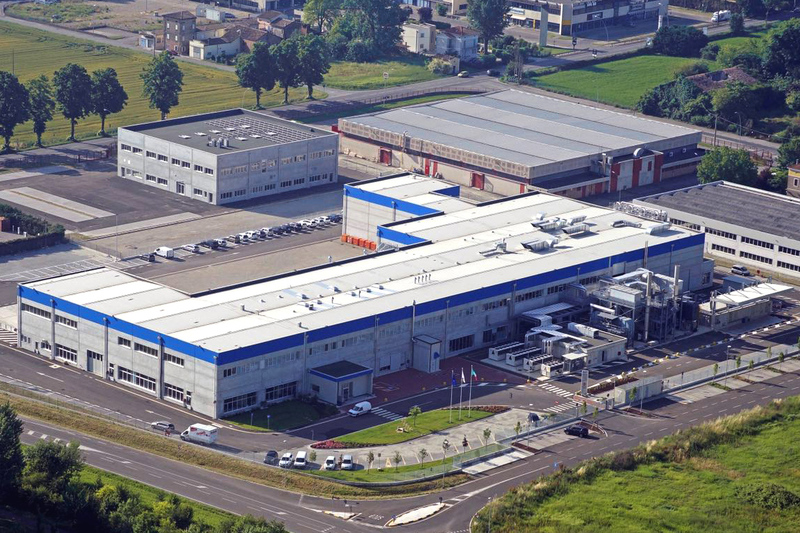 Fresenius Hemocare Italia Srl is located in Mirandola, a city and commune of Emilia-Romagna, Italy, in the Province of Modena. The plant processes an in-house technology and competences to cover complete blood filters production. Its key areas of expertise are fiber spinning, fiber coating/calendering, filters assembly (automatic equipment and manual assembly), performance evaluation, gamma sterilization process and packaging. Our Mirandola plant offers an extensive product range of filters for selective cell removal from whole blood and components used in transfusion sets: inline systems – dry systems and automatic equipment. This manufacturing site has its own biological, chemical, technical quality control labs which expertise guarantees complete control of the production process from incoming goods to finished filters. In addition to that, the plant has its own research and development department for the innovations in field of blood filtration devices, providing our customers with an advantage of a continuous technological innovation. The plant operates the ISO 7 clean room area of 2.200 square meters and occupies more than 200 employees, putting its profound expertise and high-quality level of its products at service of our clients.